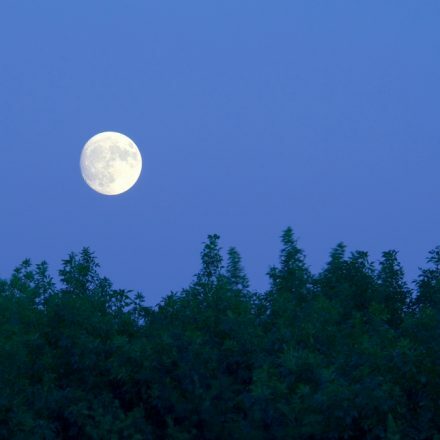 Spend a little time in the next couple of days to get quiet and do your full moon ritual. This full moon/lunar eclipse is all about changing what we don’t want. In order to get the ball rolling . . . release what you’re ready to, AND release anything blocking, or getting in your way. You can still do this even if you don’t know exactly what it is, simply ask the archangels to help you move it along. Ask Archangel Michael to help you release, and Archangel Uriel for clarity. As always there’s some great information here from Lena and Pat, enjoy! The Full Moon and Lunar Eclipse is Friday, February 10 at 5:32 PM Mountain Standard Time (MST). The time around this full moon is very potent as it supports innovation, eccentricity and thinking outside the box. Think about how you can be expansive in your dreaming, changing and choosing. Eclipses always intensify any experience as well as support change, so look for some intensity during this time and turn that experience into something positive for yourself. We suggest that you are careful who you spend time with around these eclipses as you can be influenced by negative energy as well as positive inspiration. The energy around this full moon is fiery and aggressive. Use this in a good way to propel and penetrate your bigger more creative dreams and desires into reality. Stay focused on what YOU want and don’t get derailed by the cynicism of others. Be creative, inspired, and take action. The Chinese Year of the Rooster gave a big flashy, fully embodied crow and coughed up an eclipse month to start his new year! We start with a lunar eclipse in Leo visible for most of the world, Europe, much of Asia, Africa, North America, South America, Pacific, Atlantic, Indian Ocean. It will appear as a slight darkening of the Moon as the Sun sits behind us enabling the Earth to cast its shadow on the Moon. For a short, mysterious darkening time, the Moon that governs our emotional needs, our security, our nourishing energies, our urge to protect and our intuition will be disengaged from solar rays, solar polarity and will empty and free itself of all that has gone before. A closing and a reopening. What can you offer up to the dark time that will free your inner royal self? Or that inner, open-hearted child self that Leo represents? It’s a moon to align with your power and open up to the joy of the innocence in you. Leo is that regal part of yourself that likes attention, recognition, to be admired, surrounding oneself with pleasure and luxury, maintaining excellence. Leos are ruled by the Sun after all and are the rulers of our hearts-the center of our bodies just like the Sun is the center of our solar system. Courage and flamboyance, much like the rooster, as well as strong will and pride are Leo’s gifts wherever it rules in your chart. Let this Full Moon release all that stands in the way of your creativity, playfulness and romantic expression as the Moon rolls through warm, big-hearted Leo. Tune into the confidence and radiance inherent in your true essence. Not only a fire-sign eclipse, but a beautiful fiery Grand Trine made up of a planet in each of the fire signs ~ Moon in Leo, Uranus with Eris in Aries, and Saturn in Sagittarius creates a window to ignite your creative juices. Trines are about ease and flow, compatibility. With Saturn in the mix we’re called on to channel the flame, the heat, the energy (perhaps the anger?) and your inspiration into ACTION. The time for worry and dread has passed. Stop wringing your hands. Now it’s about kicking that internal hamster wheel to the curb and making choices to create, express what’s inside, swing your partner, and get your hands dirty while you have all this fire and eclipse energy to get you moving. Chiron is in powerful support of the Grand Trine as is the Sun. We’ve got allies here. Chiron is sitting at the apex of a triangle aspect called the Finger of God – a huge catalyst energy pointing you in the right direction for growth and healing. Healing issues from waaaay back has never been easier. Chiron is supported by a beneficial joining of Jupiter and the Moon here at the eclipse. Your relationships are a perfect mirror for you now. They are your teacher and your healer. Give love and receive the love of others and let it penetrate you and open your heart. The sacred geometry in the Full Moon Leo eclipse chart is rampant! A Grand Trine in Fire inspiring our creativity, A Finger of God to guide and heal, and a Grand Square in cardinal signs with Uranus/Eris, Pluto, and Jupiter forming a T-Square and Vesta completing the final leg. Vesta, is about lifting our creative, sexual energies and focusing and channeling them into service and healing, like the temple priestesses of Greece/Rome. We are called into our own inner temples, to retreat inwardly and find our inner commitment to our own truth and then bring that committed focus to our work or a path in life. We are ripe for seeing with a clear eye where we are leaking and giving away our energy and power. With Vesta’s connection to the Pluto-Uranus-Jupiter transformation powerhouse bundle, there’s good reason to go inside and listen to the truth of your inner guidance. The structures within are in need of radical change. Your inner priestess/priest is your best guide. Later in the month February 22-27, Mars in Aries will be triggering all of the planets in the T-Square, Pluto-Uranus-Jupiter just to make sure everyone is doing their due diligence on the change and expansion axis of their lives. Look to get a fire lit under you in the form of restlessness, conflict, confrontation, accidents or just pure rocket fuel in your veins.